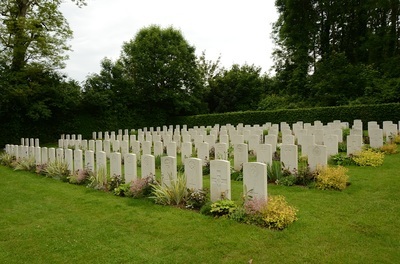 Tourgeville is a commune adjoining the town of Deauville, which is located on the coast at the mout of the River Touques, just south of Le Havre. 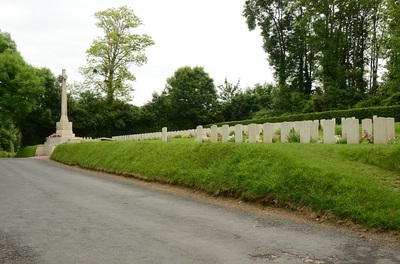 The Military Cemetery is situated north of the village of Tourgeville, in the region of Mont Canisy in a small side road. 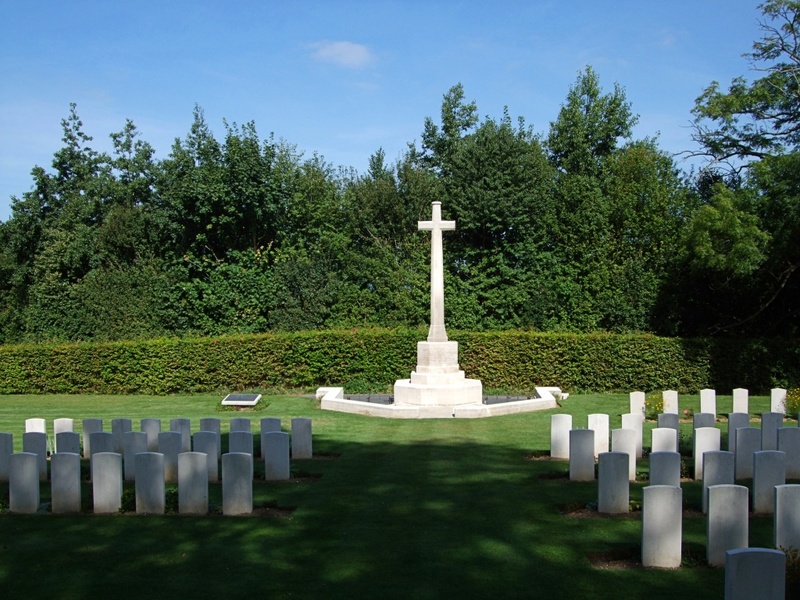 The 14th Convalescent Depot was at Trouville in October 1917 and the Trouville Hospital Area - which later comprised the 72nd, 73rd and 74th General Hospitals, and the 13th, 14th and 15th Convalescent Depots - was established in February 1918. 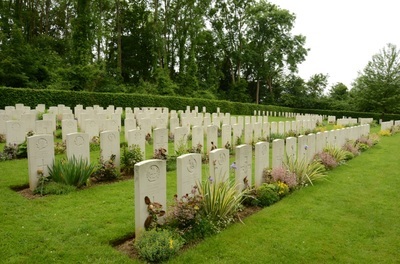 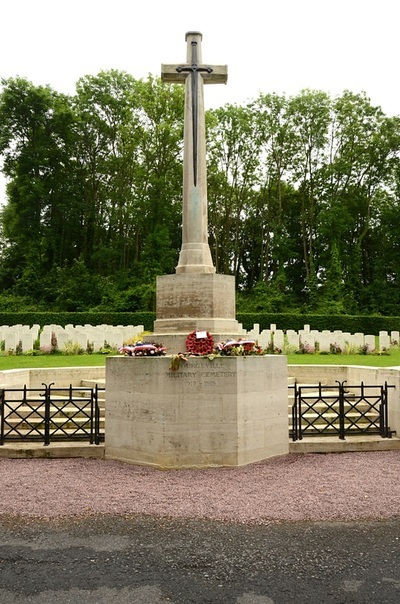 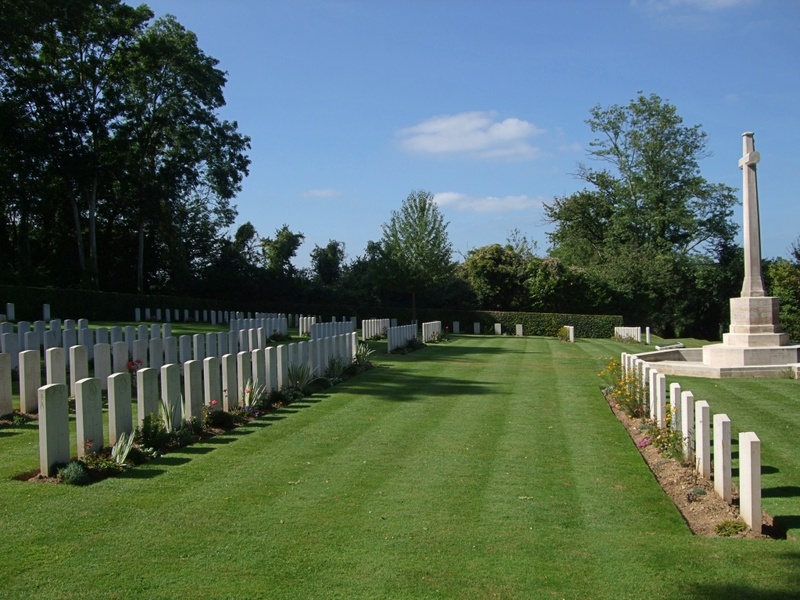 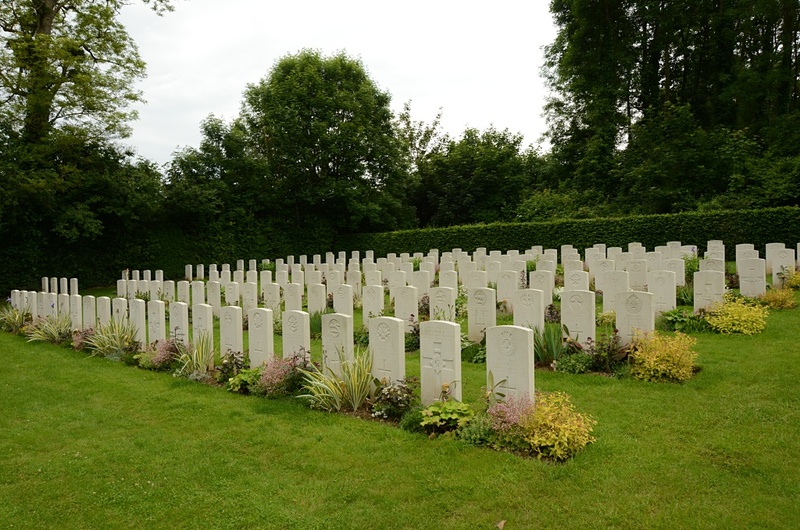 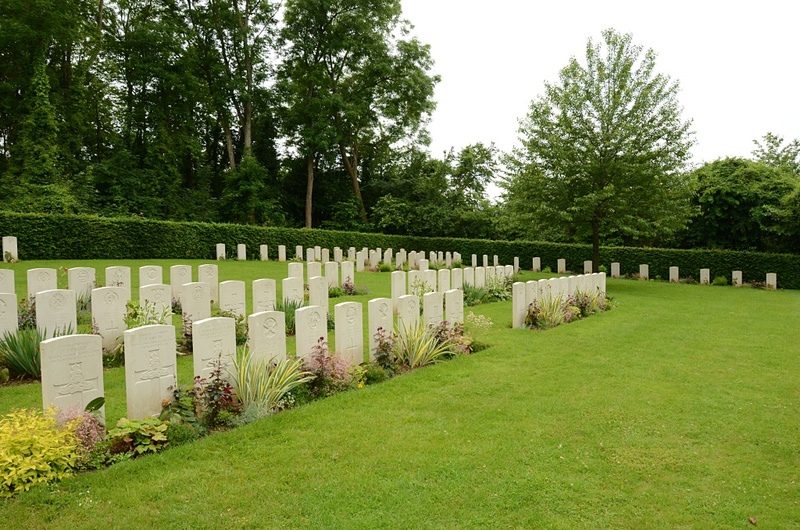 Tourgeville Military Cemetery contains 210 Commonwealth burials of the First World War and 13 from the Second World War. 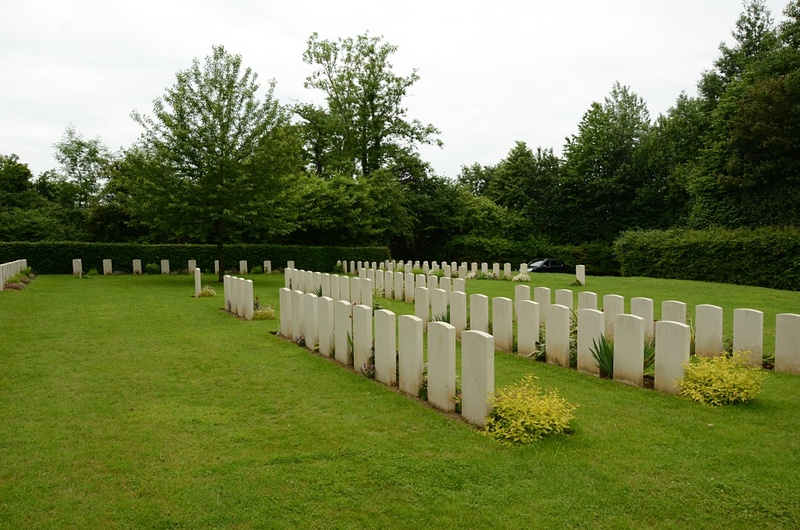 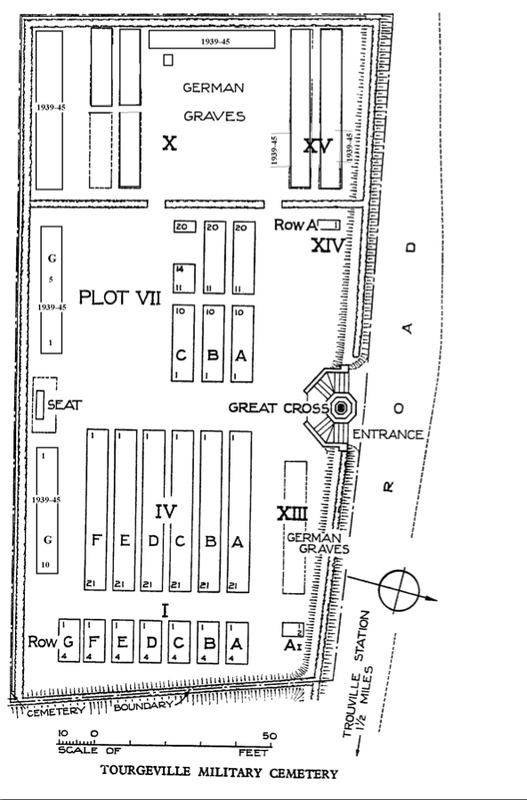 There are also 90 German graves and two non war burials.